Many tourists from Japan and abroad visit Kyoto every year. Many people from all over the world come here to see the traditional and unique townscape and the temples and shrines of Kyoto. 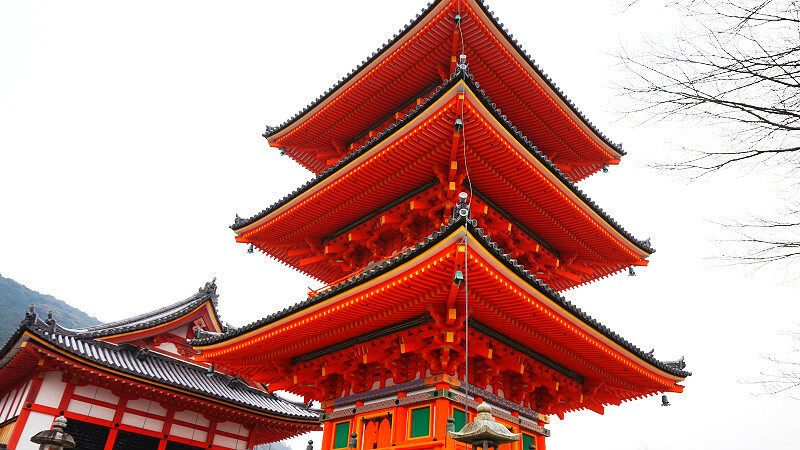 In this tourism city of Kyoto there are many places worth seeing! First-timers may not know where they should go to. 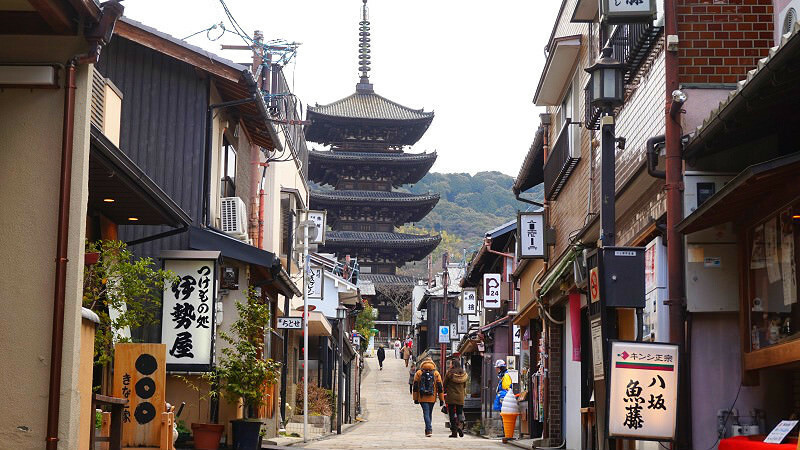 In this model itinerary we from Sharing Kyoto tell you where you just have to go in Kyoto! This schedule is for those who want to enjoy as much Kyoto as possible in a day, so it might be hard to get to see all of these places in a day, but we hope you can go to as many as possible! 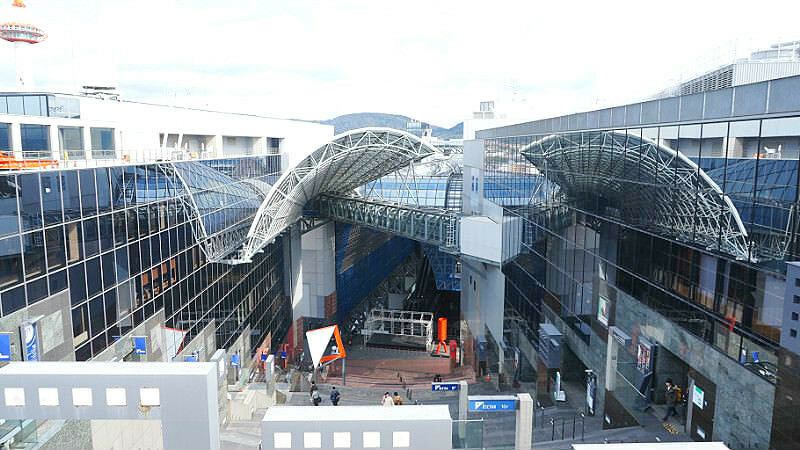 9 a.m. Leave Kyoto Station behind! The main Kyoto sightseeing spots, temples and shrines, are usually not open late so it’s a good idea to start early to fully enjoy your day. Leave your heavy luggage at the luggage storage service and off we go! Inside Kyoto Station there is a service that will store your luggage or send it to your hotel or hostel, so if you have heavy luggage how about using this service. 9:30 a.m. To Fushimi Inari Shrine! Taking the JR line from Kyoto Station, our first stop is Fushimi Inari Shrine famous for their Senbon Torii, thousand torii gates. 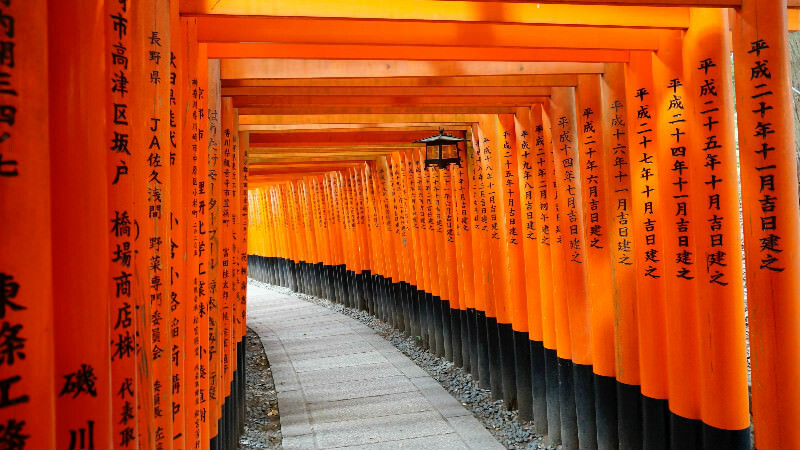 I think many people may think of these torii gates when they hear the word Kyoto. Among the popular sightseeing spots of Kyoto this temple is especially popular, so I recommend going early in the morning before most tourists come. 11:00 a.m. To Kiyomizu-dera Temple! From Fushimi Inari Shrine, take a bus or train to Kiyomizu-dera Temple, the temple that can’t be missed when sightseeing in Kyoto. Kiyomizu-dera is on top of a hill so you need to walk a bit from the closest station or bus stop, but there are many souvenir shops by the street to the temple so taking a detour is also fun! 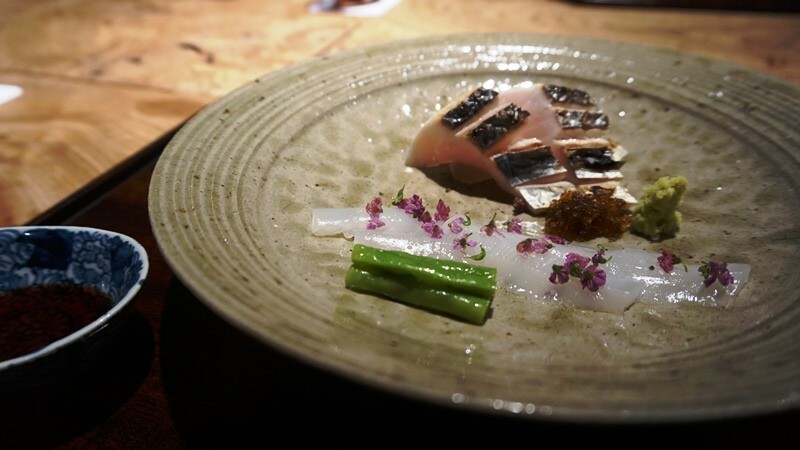 Here I’m going to introduce two shops recommended by Sharing Kyoto. 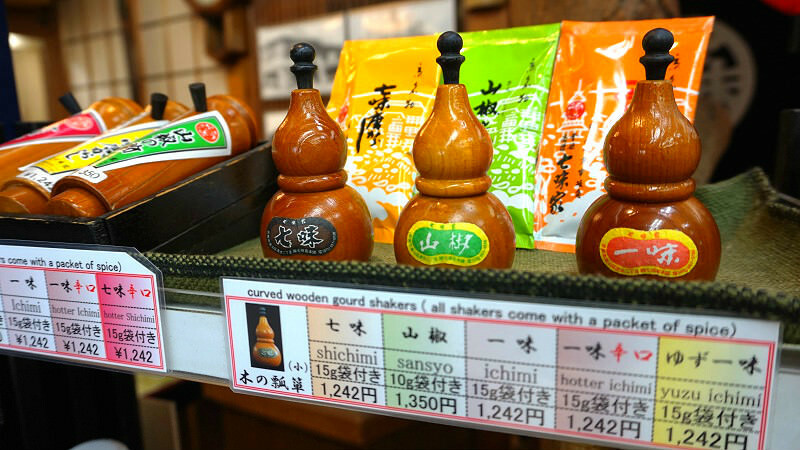 Shichimi Honpo sells shichimi chili spice mix and other seasonings. They have shichimi, ichimi (only chili), Japanese pepper, and others, so you can choose your favorite. 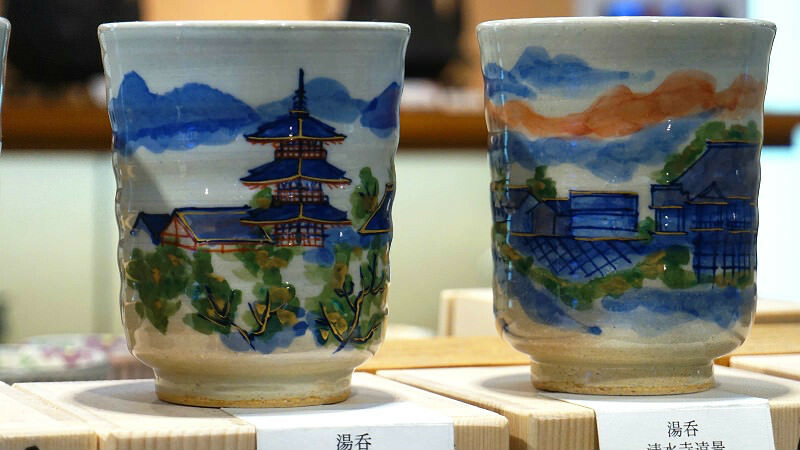 This store is right by Kiyomizu-dera’s gate and they sell Kyo-yaki and Kiyomizu-yaki wares. Inside the spacious store they have much pottery with Kyoto-like designs. They sell pottery from proper, extensive ones to reasonably prized ones, so just stopping by is interesting. 11:30 a.m. Let’s go see Kiyomizu-dera Temple! After walking up the street lined with souvenir shops you finally get to Kiyomizu-dera Temple! 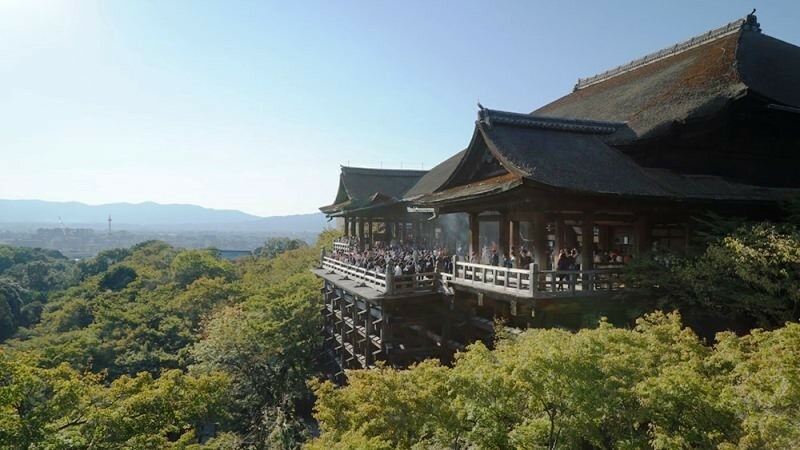 Take in the great view from the stage of Kiyomizu. When it’s the autumn leaves season you can see the trees turn red and yellow, and the view is absolutely breath-taking. *Note that they are renovating the roof of the main hall, so you cannot see the scenery like in this picture until year 2020, but you can still go see the temple like normal. The three storied pagoda shining in vermilion is also famous. 12:30 noon Walk the stone paved street all the way to Gion! Next it’s the Gion area! The road from Kiyomizu-dera Temple to Gion still looks traditional and has an elegant feel. You can also see rickshaws and people wearing kimonos, so these combined with the traditional buildings make for tasteful scenery. 1:30 p.m. A little late lunch at Gion area! Walking from Kiyomizu-dera you must be getting hungry by now. Gion area is visited by many tourists, so of course there are many great restaurants! I’m going to introduce some restaurants where you can enjoy Kyoto atmosphere. 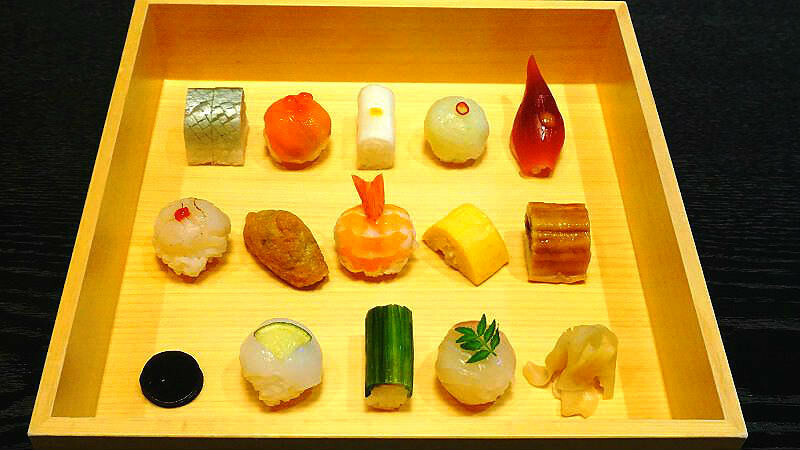 At Gion Mametora you can have something unusual, bite-sized sushi. The size is said to be small because maiko are not supposed to open their mouth wide when eating. They look so cute you just want to take pictures! 2:30 p.m. To Kyoto’s oldest Zen temple, Kennin-ji! From Kiyomizu-dera Temple, we have walked down to Gion while going to the sightseeing spots by the way. Then we get to the oldest Zen temple in Kyoto, Kennin-ji. 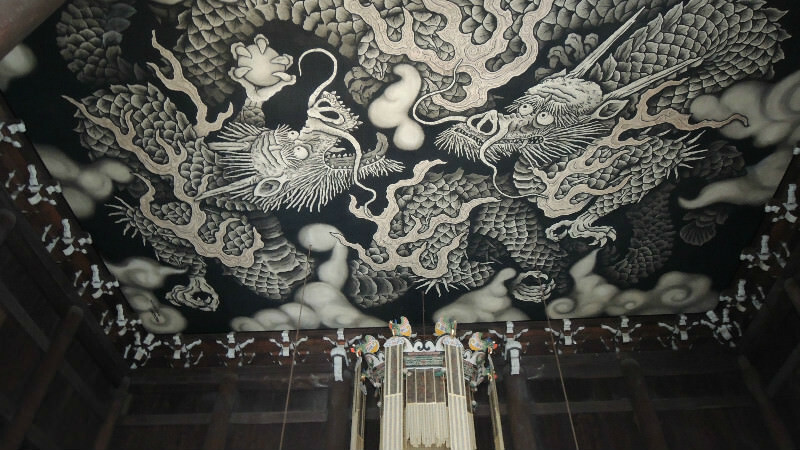 Inside the temple there is the famous ceiling painting of twin dragons. They also have a vast garden so please enjoy this temple and the culture of Zen. 3:30 p.m. Walk on Hanamiko-ji Street! 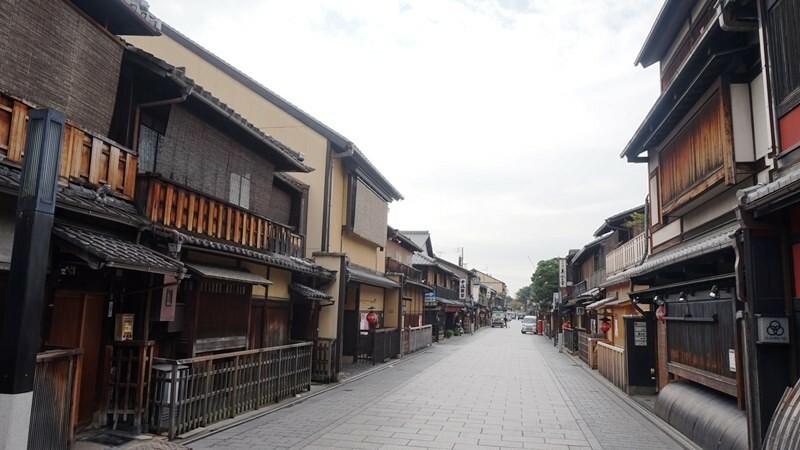 This street that continues straight from Kennin-ji Temple and is paved with stones is called Hanamiko-ji Street. Many of the shops and restaurants on this street are frequented by maiko, and most of the restaurants offer high quality Japanese cuisine. If you are lucky you may get to see a real maiko! 4:30 p.m. Let’s pray at Yasaka Shrine! If you still have stamina, it would be a good idea to also visit Yasaka Shrine that is really close after you exit Hanamiko-ji Street. 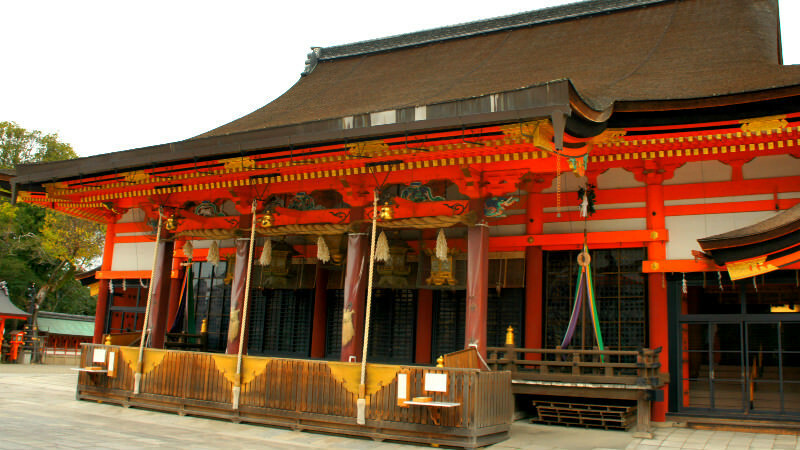 Yasaka Shrine is unusually for a shrine open 24 hours a day, so you don’t need to worry about what time it is! After walking a lot, it’s time to head back to Kyoto Station and enjoy a relaxing dinner. 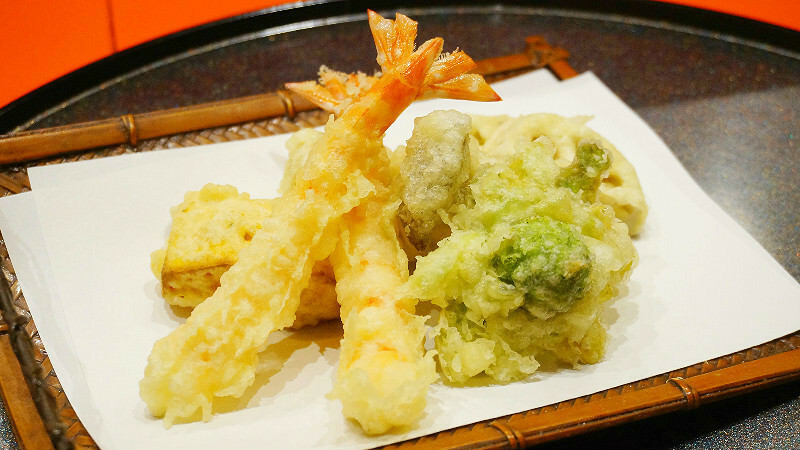 If you want to enjoy Kyoto to the fullest, how about ending your day with some Japanese classics like kaiseki, tempura, or sushi? 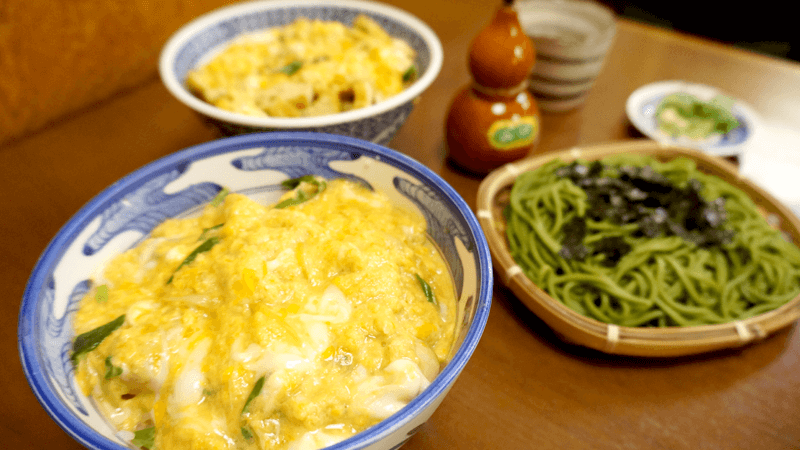 Kyoto Wakuden is a place where you can enjoy a kaiseki dinner for a relatively reasonable price. Kyorinsen makes fresh Kyo-yasai vegetables and seafood into delicious tempura one by one, and this restaurant gets my recommendation. Now it’s time to head back to the hotel and relax. 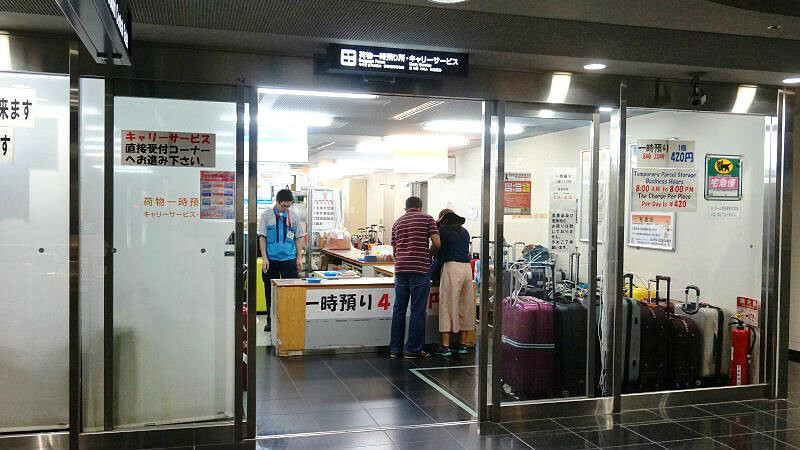 Even if you forgot to buy souvenirs, there are many souvenir stores at Kyoto Station so you needn’t worry. This is the end of our itinerary for the first day! But there are still many, many places in Kyoto you should go and see, so many that I can’t begin to write about them all here. I hope you will go to many places in Kyoto and find your favorite! This times model itinerary was only for the first day, so I didn’t have time to talk about the popular spots like Kinkaku-ji Temple and Arashiyama, but of course those who are in Kyoto for over 2 days should also go there! If you plan at least some part of your trip based on this article, I would be really happy!